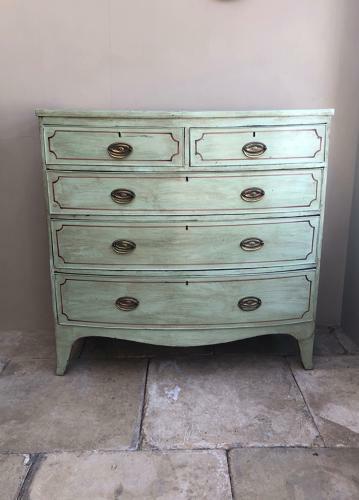 Victorian Bow Front Chest of Five Drawers on Shaped Bracket Feet. Original handles & later painted. Good solid piece, dovetailed construction.